I gave my father my old HP computer. He tried to set it up. I thought that I erased the need for a password, but it keeps asking for a password. I know repair workers can bypass and erase passwords. How can I do this to allow my father access to my old computer? 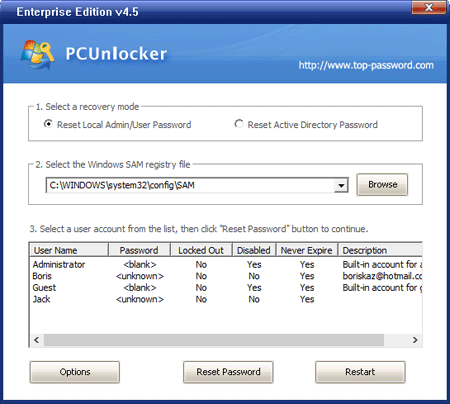 You’ve probably landed on this page while looking to find out how to erase Windows password. Whether you’ve simply forgotten your password, or you want to help your friends or colleagues to erase Windows password, I’m going to show you a really easy way to help you erase Windows password when you forgot it. 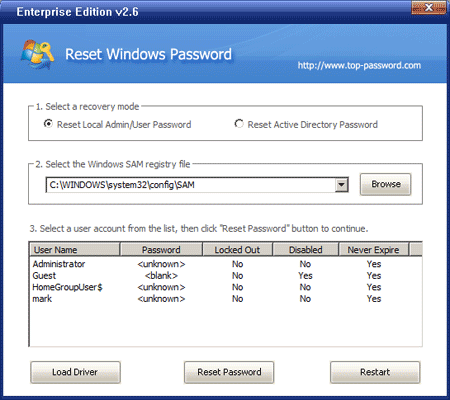 To prepare for the password-erasing procedure, you need another computer to connect to the Internet, download the Reset Windows Password utility. Next, burn the ISO image to a CD/DVD or USB flash drive with ISO2Disc software. A Windows password reset disk will be ready in one or two minutes. Now that you’ve prepared the Windows password reset disk, go to the computer for which you have forgotten the password. Insert the Windows password reset disk and turn on the computer. Change its BIOS settings to make it try to boot from the CD or USB first. Once you have configured the BIOS correctly, your computer will boot from the Windows password reset disk. After a while, the boot disk will launch the Reset Windows Password program. 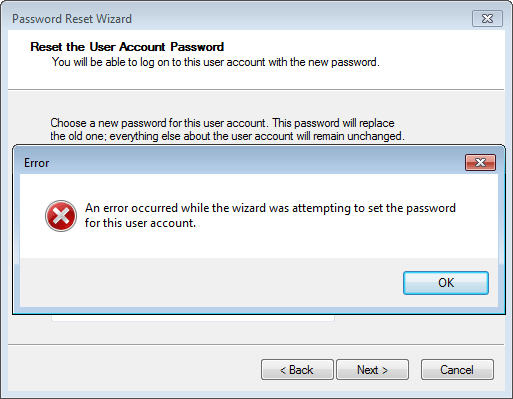 Select the user account whose password you want erase, then click Reset Password button. It will erase the forgotten Windows password in no time. Now you are done! 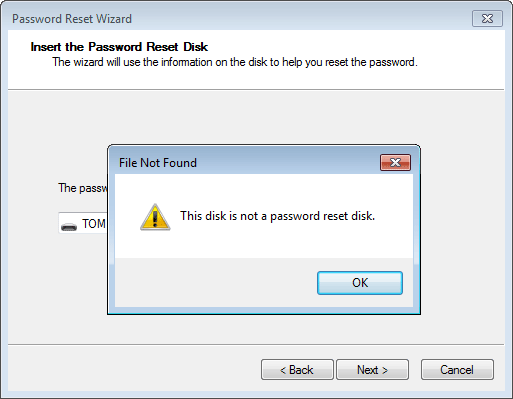 Remove the Windows password reset disk and restart the computer. It should start as usual now, displaying the Windows logo, and finally showing the Windows login screen. Just click on your login icon (if it asks for a password, leave it blank) and you should enter Windows without the password! Now you can open Windows Control Panel to create a new password for your account. Take care to remember it this time, or you would have to go through this procedure again.